Do I call it official now? 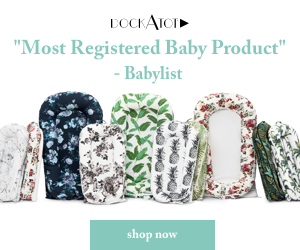 Has “modern baby” taken over the baby space so much that it’s just about the default? 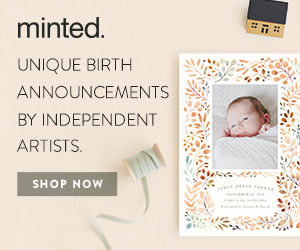 Pottery Barn has a new brand in the family, and Pottery Barn Modern | Baby is going to make shopping for your modern nursery even easier than ever. Now their furniture collection includes familiar silhouettes like Babyletto’s Lolly Crib, but also adds many exciting new shapes and styles. The signature look of the brand is the glam Art Deco collection with the High Gloss Black Art Deco Crib and the matching dresser. The Deco Glider & Ottoman round out the look. Well, actually, the black metal framed mirror “rounds” out the collection- ha!, and you can finish off the space with the Coco Rug and art prints (1 and 1b) by Jaime Derringer from Minted. 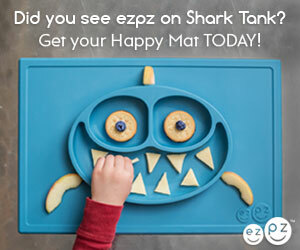 The Art Deco collection also comes in white, for a completely different feel. Here the crib is paired with the Lola Swivel Glider & Ottoman. Finish off this space with a Faye Rug and oversized floral wallpaper from Anewall. For a more natural, neutral nursery, select the Nash Crib and Dresser. Leather drawer pulls add extra texture and detail to the dresser. 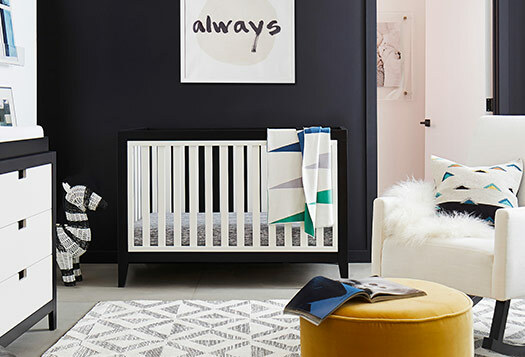 Their “Hip Modern Nursery” features the Tatum Crib in two tone black and white. It’s really cleverly paired with the Zebra Shaped Woven Storage basket! 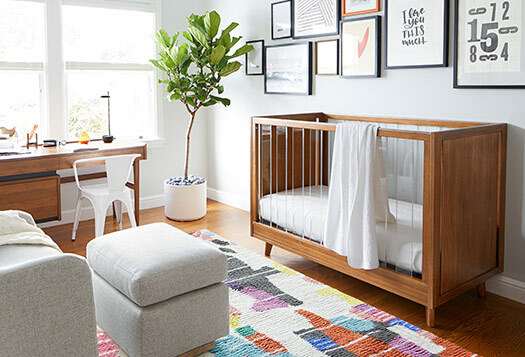 The Acorn finish on this Sloan Crib hearkens over to the mid-century flavor of the West Elm x Pottery Barn Kids collections but is unique with acrylic slats. The Sloan Crib also comes in white for a totally different, minimal look. 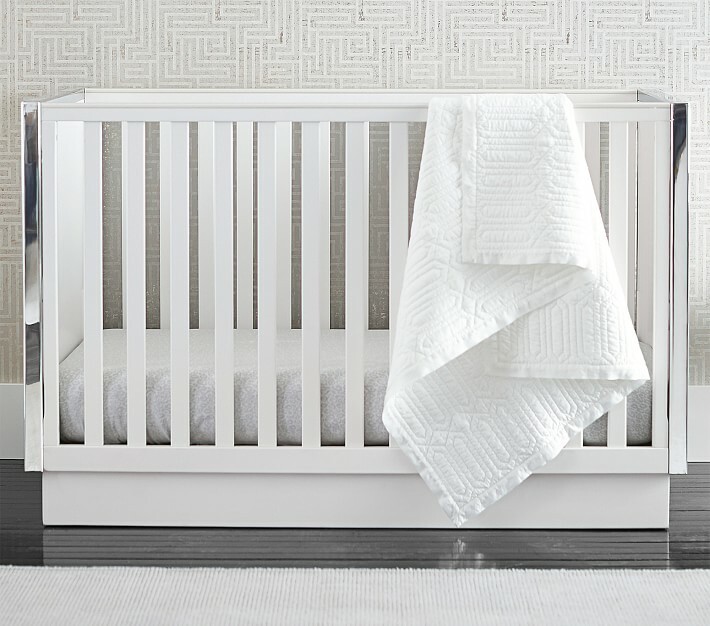 The Aiden Crib is another exciting new option with it’s solid form and chrome trim! 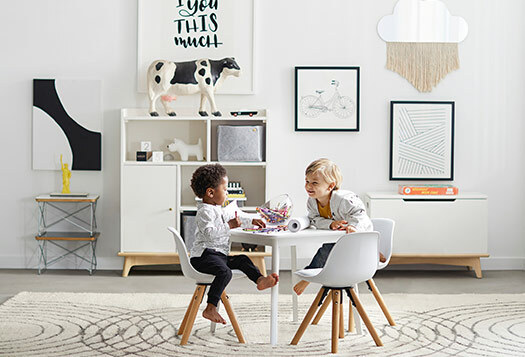 The Sloan Bookcase and Sloan Toy Chest are just two playroom pieces that are part of the storage collection, and the Pottery Barn Modern | Baby also includes tons of decor items to not just furnish, but finish the entire nursery. 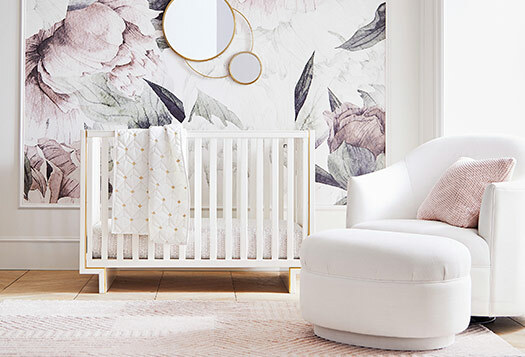 I never used a lot of Pottery Barn in my modern nursery design here on the blog over the years, but I know that will all be changing now. Woah.